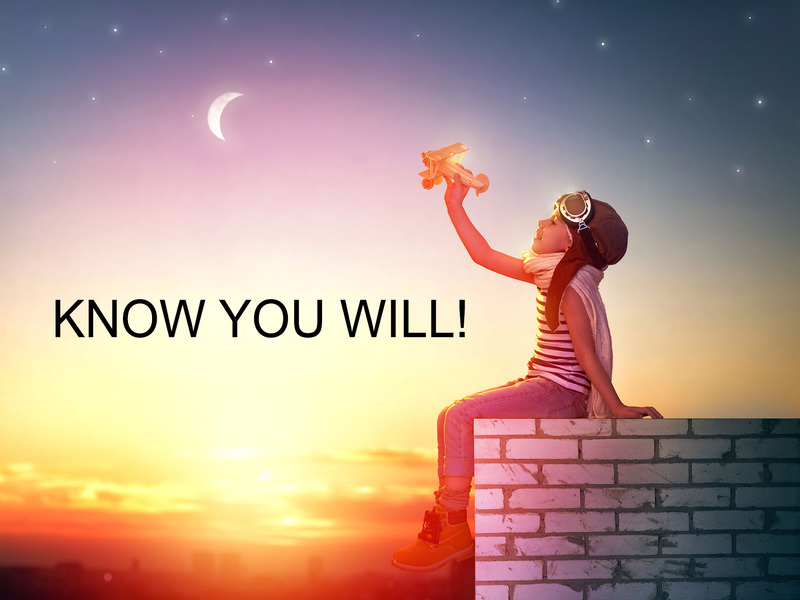 When did you grow up and stopped believing you will? 4 steps, go from being unworthy to knowing you will. You might have heard the phrase “you have to believe in yourself” being tossed around these days. This phrase is absolutely true, but what about all the people who do not believe they are worthy of anything yet, how do they bridge the gap from going from not being worthy to believing they can achieve anything? Lets start by explaining the four steps. The first step is believing you are not worthy, The second step is finding someone who believes in you and using your empathy to experience their belief in you. The third step is believing in yourself and then the final step is knowing you can do anything you dream about. The difference between believing and knowing, is that when you belief you can, then anything becomes possible but when you reach the fourth step of knowing, then you can no longer fail. To illustrate these steps I am going to share a true story from my own life, how I got through these four steps. Dad: What is dunking the basketball? Me: It’s when the player jumps up with the ball and puts the basketball into the rim and then hangs on the rim after stuffing the ball through the net. Dad: Can you close your eyes and visualize yourself dunking the basketball? Dad: Can you see how high you jump? Dad: Can you see how your hands and legs are moving in the air? Dad: Can you imagine how it feels to hang on the rim? Dad: Can you feel how it feels to be able to dunk the basketball? Me: Yes, it’s feels great. Dad: All you need to do is keep on practicing to jump and dunk and then when you go to sleep at night, lay there for a few minutes before you go to sleep with you eyes closed and visualize yourself dunking the basketball over and over again, seeing every small details and feeling, how it feels to dunk the basketball. At this stage I did not believe in myself but I did belief in my father and he had unconditional belief in me. This was my transition from phase one, not believing I am worth it, to using my empathy and using the belief my dad had on me to continue. To start experiencing his faith in me, so I did what he told me. The whole next year was my transition stage from using my fathers belief in me, to the stage of believing in myself. It took one whole year of practicing and visualizing at night to transition into the stage of starting to believe in myself. After a whole year of practicing and visualizing, I could do almost any dunk imaginable. I could fly, so to speak, at least for a brief moment. I believed in myself and had had wings. With this belief in myself I perused my dream of going to America to play basketball. With the help of a well connected friend, we found a family in Pennsylvania who accepted to take me in and host me while I would go to the High School and play basketball. But the unimaginable happened, their oldest son got divorced and moved back home one week before my departure. My dream was shattered. I was not heading to the USA to fulfill my dream. Thankfully I had faith in myself and I did not give up. I went to a junior college in Iceland and kept playing basketball and kept my eye on the price the whole time. Two years later, after working hard on my skills and playing basketball for one of the top team in Iceland, a miracle happened. A miracle for me, but tragedy for another. The head basketball coach for Campbellsville College in KY, had a heart attack that summer and died. Due to the sudden change in getting a new head coach late that summer, lead to him reaching out to a friend in Iceland looking for players to come and play at the college. You know what, it so happened that this friend of the head coach, was the same person that had helped me out 2 years earlier to go to High School. Coincidence? I think not. I was offered a full scholarship for playing basketball in KY at Campbellsville College. I had less than a month to transition to start living my dream and playing basketball in the USA. This is when I went from stage 3, believing in myself, to phase 4 knowing I can. But this is not where the story stops. I started playing basketball in the fall of 1997 and the collage was transitioned from being a college into a university that same year. I realized with new coaches that my physical potentials where almost unlimited, they would push me way beyond what I could ever have have done on my own. In January 1998 I had been feeling weird, slight dizziness all day long but it would fade when I practiced, when I got my heartbeat up. Early in January 1998 I was puking throughout the whole practice and the coaches decided to send me to the doctors office to have a checkup. The doctor said I was healthy as a horse but just to be safe, he wanted to take pictures of my brain, a cat scan. He came back into the room and told me I had a brain tumor the size of a tennis ball in my brain. Was my dream coming to an end? No absolutely not. Me response was a feeling of relief. Yes, you found something, I knew there was something wrong with me and you found it doctor, well done, now take it out, please! Being at the stage of knowing is where you cannot fail and that’s exactly how I felt. I knew everything would be OK. I can’t tell you (the reader) how I knew, but I knew, without a doubt. I even asked the doctor if I could play the next game before the surgery. He looked baffled at me in disbelief, while saying: Son, you have a huge brain tumor and it’s a matter of days before you might have a stroke, you are going straight to the hospital in Louisville KY to prepare you for surgery. The next few days were strange, having all these people come to visit me at the hospital and showing their support, crying and one might think they were saying their final goodbyes to me. I smiled and made a fun little game out of the whole scenario. I would tell one person that they had to cut a piece out of my brain because I was too smart, and then the next one I would say they were putting in a computer chip into my brain to help me with math and so on, and so on, just having fun with it. I smiled though the next few days and finally on the 13th of January in 1998 I went under the knife. Before I went into surgery I asked the doctor, what’s the worst that can happen. He told me: You could die, but the good news are I have not lost a patient yet so you have a great chance of being OK, but you will not play basketball for at least 6 months after the surgery. My final words before going into surgery, was: I will be playing basketball a lot sooner than that. February 13th 1998, I was released by the doctor to play basketball. That is right, I knew I would and I did. Of course I had a special protection mask made for me so I would not get hit in the area where they sawed out a piece of my skull, but everything turned out just like I knew it would. 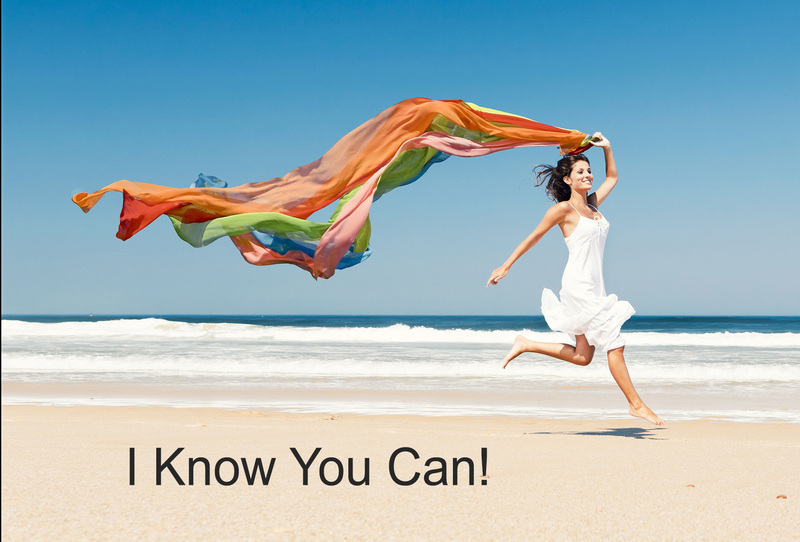 The question I would like to ask you now, is would you like to be at the stage of knowing what you can accomplish in your life? If your answer is yes, then here is a short recap of the process. If you do not believe you are worthy at this point, then find someone who beliefs in you and use your empathy to experience their belief in you to start your success journey, whatever that might be for you. Stay as long as you need to on stage 2, using your empathy until you transition into the stage of believing in yourself. Keep chasing your dreams and make them come true one after another and never ever quit. Then you will eventually automatically transition into the stage of knowing and that’s when you cannot fail any more. I know you can, but until you do, then work your way through the steps until you do. Here is another example of knowing, that you might relate to. You are at home and you need to get groceries from the store. You know that you can get to the store to buy the things you need, but yet you do not have a bike, you don’t have a car and the store is too far away to walk, but yet you know that you can. You could call a cap, you could hitchhike, you could call a friend or family member to drive you, you could take the buss or call an uber. You know you have so many different options that there is no doubt in your mind you will be able to go to the store. Now the unthinkable happens! The store is swallowed by a sink hole, the store is no longer there. Does this change that fact that you know you can get to the store and get your groceries? Yes it changes your destination but not the outcome, you can simply go to the next store to get what you need. When you are at the stage of knowing you do not need to know how. When you know you can, the destination might change slightly, but your goal is going to be achieved. The how will be revealed to you on your way, when you know you will. You have unlimited potential and if you do not know it by now, then start following these simple steps and start creating the life of your dreams. You are amazing, and there is something about the break free inside of you and you can feel it. There is a reason why you managed to read this whole article. Well done, first step completed, now go do the rest! It’s always you that will make things happen, remember that. Remember that you are unlimited and you are the only person who can limit you. Now go and make your dreams come true! I believe in you!